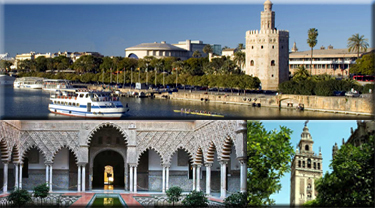 Sightseeing excursions and private tours from Seville. City tours and walking tours of the old quarter, Cathedral, La Giralada, Alcazar and Flamenco nights. Also sightseeing coach tours to Cordoba, Granada, Ronda, and Costa del Sol.